I honestly believe that everyone has had at least one awful experience working and presenting as a group. It’s hard not to see why. There’s always going to be some guy that feels inclined to wing a team presentation like it’s a great idea. 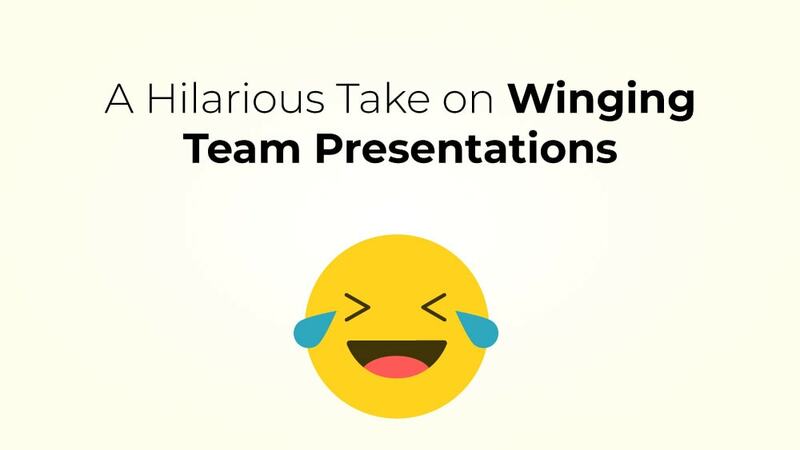 Spoiler alert: Winging any presentation is a terrible idea, and you will end up looking pretty foolish. Don’t even consider it. Still, there are rare moments in history when winging a presentation can be the most magnificent thing an audience could ever experience. Lucky for you, I have come across such an occurrence; one that I will most certainly share with you. I was browsing Reddit and came across a video that demonstrates the sheer beauty of winging a team presentation. The video features Blake Anderson, Adam Devine and Anders Holm, the stars of the hit TV show Workaholics. The trio was asked to give a presentation on teamwork to a group of people in an office. The three presenters did not prepare for anything. In fact, they have never even seen the PowerPoint slides. These guys perfectly depicted a presentation experience that we are all too familiar with. If you have 10 minutes, then you need to watch this video right now. Trust me; it’s worth it. Okay, maybe the slides don’t look so great. The sound could use a little more work, too. But that team presentation chemistry had me going. Heck, this entire video had me laughing for a good while. 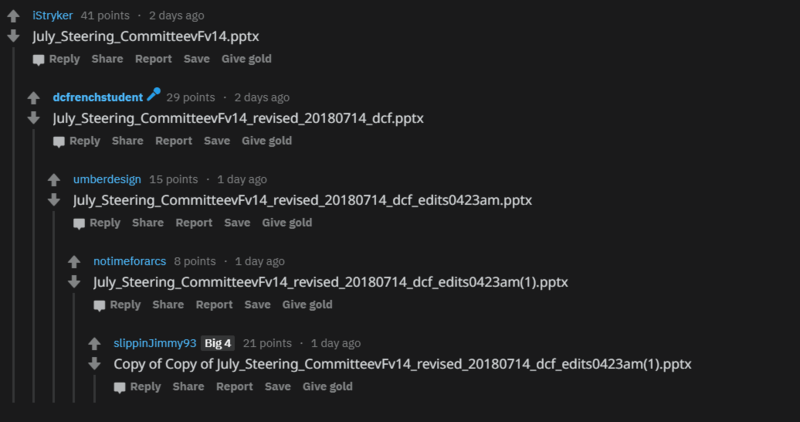 In fact, I don’t even know what’s funnier, the video or the comments on the Reddit thread. Oh man, this is the worst. What’s Your Team Presentation Experience? Now that you’ve had a good laugh, maybe you’re in a position to let me know about an experience you may have had. If you feel like telling me what you’ve been through, then drop a line in the comments section below!